Almost two years after the Santa Fe Opera commissioned "The (R)evolution of Steve Jobs," the narrative, music and rehearsals are complete and the production is set to open this Saturday as part of a limited six-show run. Showtime and ticketing information for "Steve Jobs" was recently posted to the Santa Fe Opera website, along with a brief explainer detailing the opera's inspiration. With a composition from Mason Bates accompanied by librettist Mark Campbell, the production aims to tackle Jobs' life and times as Apple's cofounder, tech guru and public figure. The commission was first announced in 2015. Throughout the course of 19 scenes, beginning with the launch of iPhone in 2007, the opera navigates the transformative experiences of Jobs' life, from his days at Reed College to his time with spiritual advisor Kobun Chino Otogawa to the launch of the Apple I. As can be expected, personal relationships appear to feature prominently in the production. Scene synopses and a cast list show interactions with Steve "Woz" Wozniak, former girlfriend Chrisann Brennan, wife Laurene Powell Jobs and father Paul Jobs. In true opera fashion, Otogawa's ghost makes multiple appearances. The story itself weaves back and forth between decades, a technique reminiscent of flashbacks in movie making. "The libretto for 'Steve Jobs' has a very non-linear narrative," Campbell said. "We create a story where he is confronting his own mortality [and] decides to look at a few places in his past." As for music, Bates said he often looks to exotic forms in creating operatic compositions, and "Steve Jobs" provides an opportunity to capitalize on those themes. Bates, playing off Jobs' role as the man who revolutionized communications, offers a unique score filled with electronic sounds. "I think this can really be taken to its full fruition," Bates said. "Where every character has very distinct sound worlds, whether it be the inner world of Steve Jobs which is quicksilver, acoustic guitar-picking electronica, to 'Maurosianic' lyrical harmonies of Laurene Powell Jobs, his wife, to the kind of diffuse, electro-acoustic sound world of Kobun, Steve Jobs' spiritual advisor. What happens when those worlds collide?" A sampling of the music can be heard on Santa Fe Opera's Soundcloud page. 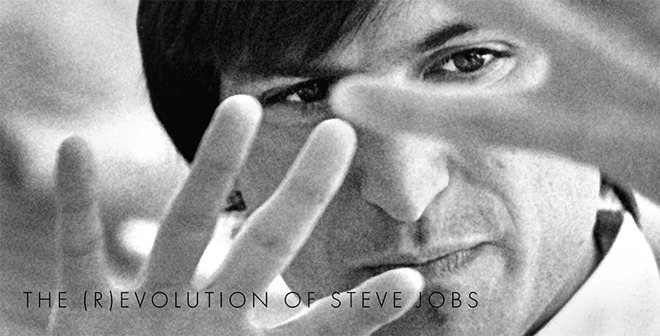 "The (R)evolution of Steve Jobs" opens on Sat., July 22 with a showing at 8:30 p.m., to be followed by another performance on Wed., July 26th. The opera will play for an additional four shows in August. Ticket prices range from $114 to $310 and can be purchased online from the Santa Fe Opera website.